Keep in mind that when your new site is from D1 Web Design it is going to be a Fully Responsive Site that is going to be packed with these features & much more Meaning your new site is going to be current & valuable for many years to come. What your site says & does is a reflection of you & your business. 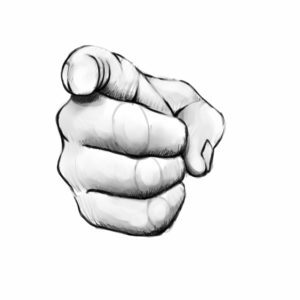 Consider your site a part of your business (because it is) If your proud of your current site I mean truly proud then no worries we can still help you out with something I am sure. But most companies especially small business lack in the area of having that solid online presence that they so very much desire & if you fall into that category of not being happy with your current site or maybe you don’t understand it or have the time to do-it-yourself. then let the pro’s here at D1 Web Design take care of your headaches. This was an interesting article I came across that gives some great statistics on mobile data. Some of the links go back a couple to few years but it still shows how large the number was then, with mobile usage on the rise (especially for search) it is only going to increase each year. Stop & think what it was like just 5 years ago in the mobile world. Yeah smartphones were around but not everybody had them! Now today you can get a good smartphone from any cell company for Free!! so yeah mobile usage is only going up. I know I know I’ve said it before we only build Fully Responsive Websites so you have piece of mind that whoever is looking on your site from whatever browser or device it is going to be compatible (Looking) the same across all platforms. Question? Are you reading this from a mobile device? Based on the following statistics (and by walking in public) — I’m willing to bet you are. Inbound marketers have been following the upward trend of mobile marketing for years, but it’s reached a point that all marketers can’t ignore it anymore. Optimizing for mobile and creating a mobile marketing strategy are two things that if you haven’t done already, you have to do in 2017. — No excuses. 2. 80% of internet users own a smartphone. With so many cell phone services giving away free smartphones with their contracts, this number is only going to keep increasing — which is good news for companies with a mobile marketing strategy. Get A Fully Responsive Mobile Site Now! Learn how to create the best experience possible on mobile devices in this on-demand webinar! 3. 48% of consumers start mobile research with a search engine. Each site built from D1 gets submitted to all major search engines such as, Google, Bing/Yahoo. Despite the explosion of mobile apps in the last few years, consumers still trust search engines the most when researching a product or service. Consumers might prefer to do research elsewhere, but they want to consume media through an app. Provide a great experience for your persona in your app and handle your marketing on the web. As an online retailer, you should give extra attention to the design and user experience of the tablet version of your website. I’ll admit it, I’m part of that 50% who reaches for my smartphone when I first wake up. This is one of the reasons that email marketing continues to be so valuable. People are addicted to their smartphones and when your persona subscribes to your newsletter, they’re giving you permission to communicate directly to the device that rarely leaves their hands. Smart companies understand this concept and don’t blow it by sending spammy emails that lose their persona’s trust immediately. Optimizing emails for mobile is the bare minimum. Smart businesses optimize every aspect of their emails to generate more leads and increase their conversions. All of the data has shown that mobile marketing is profitable and shouldn’t be ignored. For many of our tech clients, mobile marketing is the top priority and it has shown to have a high ROI. If you have the resources, it makes sense to have a team of people with an expertise in mobile marketing to get the most benefit from your marketing efforts. Is your company “phoning in” the mobile experience of your website? Not only are you turning away potential customers, but you’re sending them straight to your competitors that provide a better mobile experience. Facebook and Twitter get all the attention, but companies targeting mobile users should look to attract them on Pinterest as well. Advertising online to desktops will soon join direct mail as one of the “old ways” of advertising. I know it sounds redundant, but having a responsive website is no longer an option — it’s a requirement. If your mobile subscribers aren’t opening your marketing emails, it’s not them — it’s you. Here are five seemingly harmless details that drastically affect email open rates. We’ve reached a point where the “phone” part of a smartphone is just a feature and not the primary function, which is good news for brands that use Inbound Marketing as their primary strategy. This is something that Apple has mastered and proven to be very effective. Consumers now expect a seamless experience and brand consistency. The people have spoken. Your mobile site should make it as easy as possible for your persona to access your content. Yet another reason to give extra attention to the mobile experience of your website. If your brand is seeing higher conversions from desktop consider these four simple tips for increasing conversions on your mobile site. Web design is no longer just about looks — it’s all about the experience. Now, more than ever, great UX has a higher ROI. Just like your mother told you as a kid, first impressions really do count. People use their mobile device to find a local business when they’re ready to buy and a great mobile website makes the decision even easier for them. Remember when having a website was cool and not all businesses had one? We’re seeing the exact same trend with mobile apps today. If you’re targeting a younger audience, make sure to utilize video in your mobile marketing. 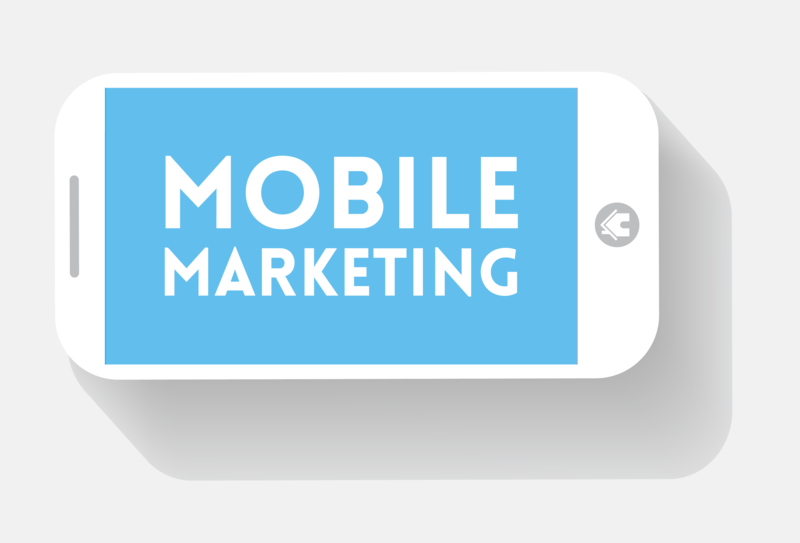 A large part of your competition is likely already investing in mobile marketing. Mobile marketing isn’t just about apps and your website; even your emails need to be fully optimized to offer the best experience on the go. Even small, local businesses need to be equipped with a mobile strategy! Full year US e-commerce spending numbers are out from comScore. In the holiday quarter, consumers spent $109.3 billion online, which was the highest figure on record. Mobile spending contributed $22.7 billion of the total. Total e-commerce spending for the year was more than $354 billion. However, total retail spending was nearly $5 trillion in 2016, making e-commerce just under 8 percent. US government figures are somewhat higher for both overall online spending and e-commerce as a percentage of total retail. In Q3 2016 mobile consumer spending was 20 percent of total e-commerce. In Q4 it was 21 percent, compared with 16.9 percent in 2015. In 2010, mobile transactions contributed less than 4 percent of e-commerce spending. In the next few years mobile commerce should exceed 50 percent, just as mobile search has surpassed desktop search. Retailers and e-commerce sellers need to prepare right now for this inevitability. The e-commerce vs. in-store sales story is now longer the whole story or the most interesting story. That’s because digital devices now influence about 60 percent of offline retail sales according to estimates from Deloitte. In 2015 more than $2 trillion of traditional retail sales were in one way or another impacted by digital. You can safely assume that if your buyer persona has internet they have a smartphone. People prefer reading emails on their mobile device and use their smartphones more for reading emails than for making calls. Marketers are optimizing for mobile and focusing more on mobile marketing at an increasing rate. Consumers are more likely to recommend and buy from the business that has a better mobile experience. The majority of money spent on digital advertising is targeted towards mobile. « Responsive Web Design	» Why You Need A Small Business Website! !